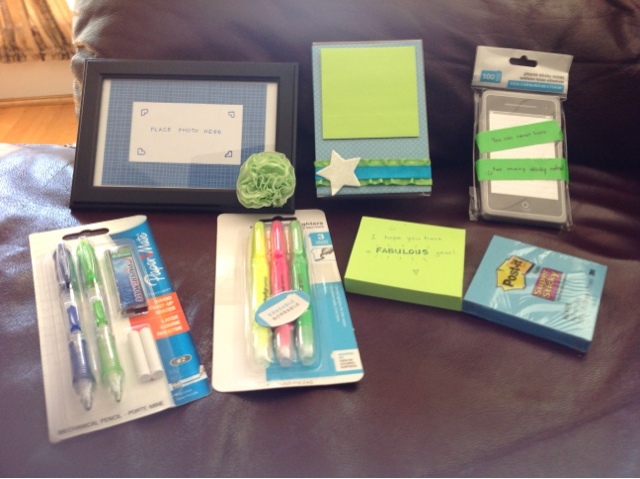 Tech Teacher Tidbits: Back to School Blogger Exchange! First, I want to thank Jessica From Covered in Glitter and Glue and Katie from Adventures of Ms. Smith for organizing this fun, back-to-school treat. She did an awesome job pairing us up. Sarah, from Mrs. Jones Teaches, and I have so much in common - right down to our classroom color scheme! Now, on to the really fun part...the package! I couldn't wait to tear it open. 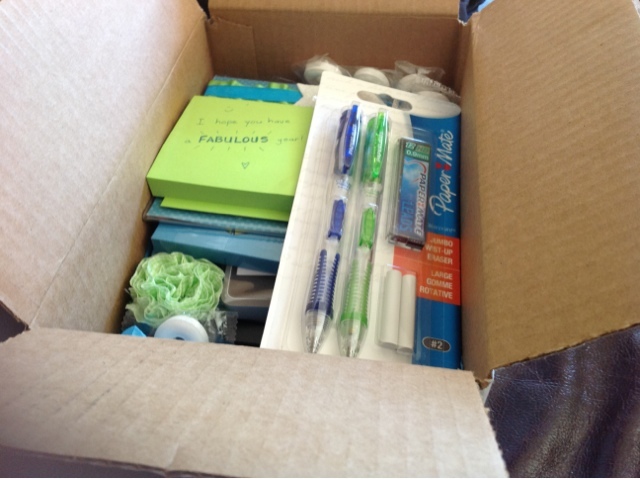 I haven't gotten a fun package in a very long time! 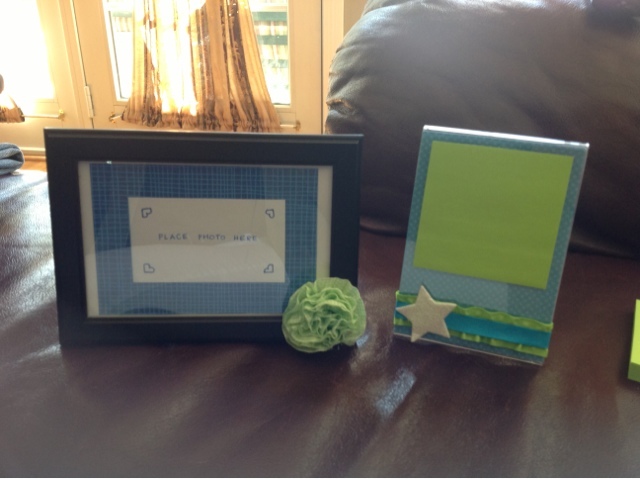 I especially love the homemade frame and post-it holder. Just so darn cute! The little personal touches made me smile. There's just nothing like connecting with someone who totally gets what it's like for us teachers. And I can't forget these goodies. Sarah didn't know it but I go through MANY of these during the school year. Thank you, Sarah! So if you don't know my new bloggy buddy, Sarah, just head on over to Mrs. Jones Teaches and become a follower. And Sarah, thank you so much for EVERYTHING! 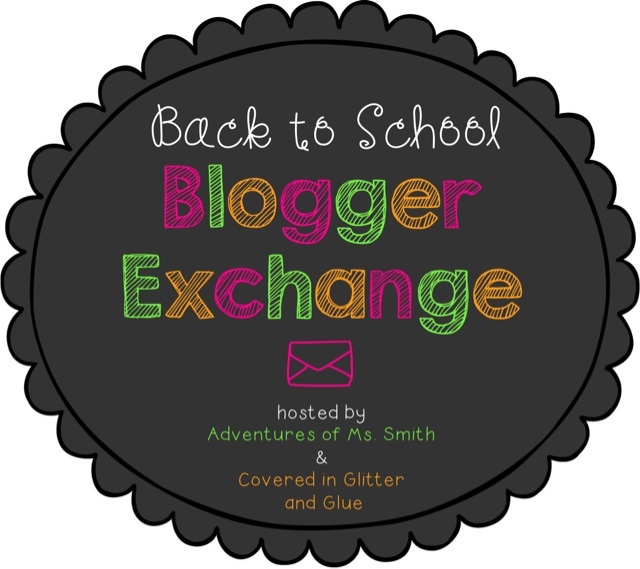 I completely enjoyed our Back to School Blogger Exchange!!! Have a wonderful year with your kiddos. Yay! I'm SO glad you liked everything! 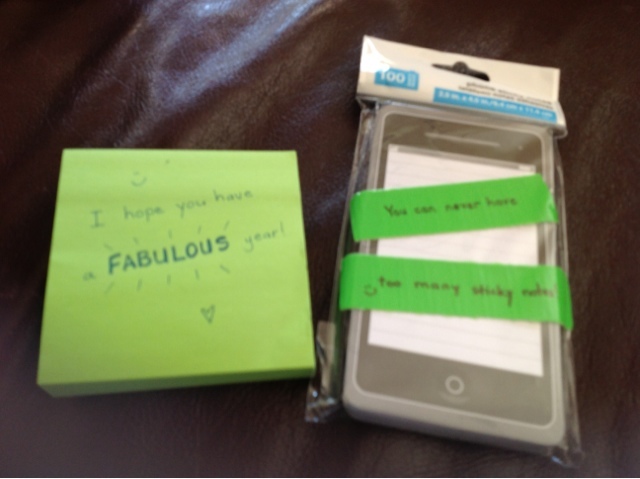 I was VERY nervous about picking out and making gifts for someone I didn't know very well. 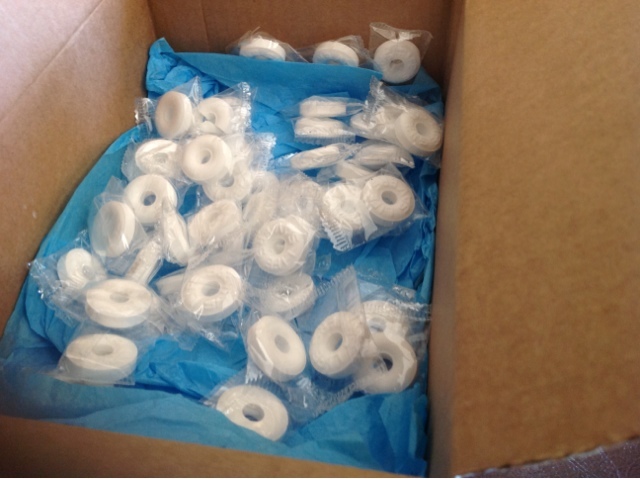 I love those mints too! I keep a little bucket of them at my desk area. 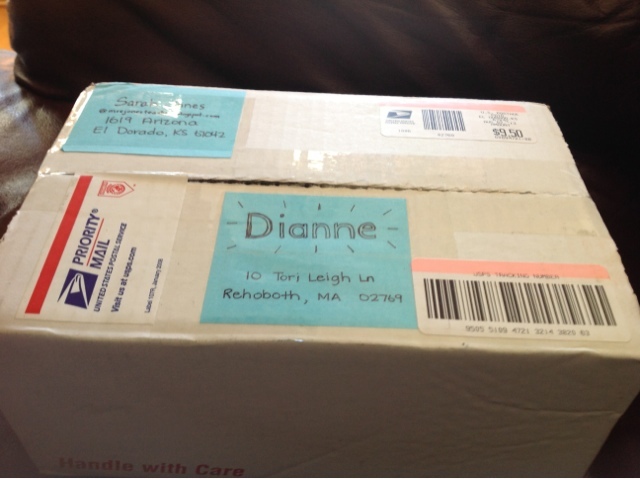 You are VERY welcome, Dianne!